Come explore Matthew: A New Identity from 6:45 to 7:30 p.m. in the conference room following the evening service. Stay after service for a bit and survey Jesus’ ministry with us! A new family-themed study has started! If you don’t normally attend, if you drop off kids for Sunday School and leave, or some other variation, please consider attending this study with those who are regulars or semi-regulars too! Based upon the book “Family Trees & Olive Branches”, this study will explore cultivating a culture of grace in your family through the lens and experience of love, pride, conflict, prodigality, and boundaries … as well as offering “49 olive branches for busy families.” You don’t need to have the book (by Christina Hergenrader, CPH) but if you want to, that’s perfectly fine. 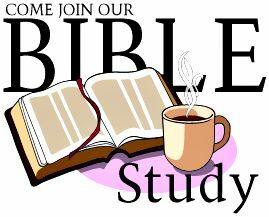 Bible study happens from 9:15 to 10:05 on Sunday mornings in the conference room. Join us in the conference room from 10:30 to noon as we continue with Michael Card’s study on The Gospel of John called Wisdom from Ephesus. We’re exploring his distinct proclamation of Christ, so come be a part!